When you come in for your regularly scheduled checkups, they will normally last about 45 minutes to an hour. Each regular exam will include a detailed cleaning of your teeth. This will include: cleaning your teeth, polishing your teeth and rinsing your teeth to remove all tartar and plaque that might have built up on the tooth’s surface. In order to keep your mouth healthy and your smile bright, we recommend visiting our office and speaking with your dentist every three to six months. To schedule an appointment to meet with your dentist, please contact our practice to set up an appointment for your regular exams. Remember, checkups and exams are available by appointment only. A crown is a cosmetic restoration tool used to improve the shape of your tooth and help strengthen a tooth. Crowns are commonly used on teeth that are broken, worn or partially destroyed due to tooth decay. What is a crown? It is a full-covering cap that will be cemented on to a tooth. When the procedure is finished, the crown has become the new outer surface of your tooth. A crown might be made of porcelain, metal or both, but most dentists prefer to use porcelain because it gives the crown a more natural look. Occassionaly, we might need to do a partial crown. These are used when a tooth does not have sufficient strength to hold a filling. In other offices, you might have a temporary crown placed in your mouth while an order is placed for your actual crown. You then have to schedule an additional appointment for your crown to be placed. In our office, Dr Harmon will personally design your crown on the CEREC machine using 3D software, and that design will be sent to our in office milling unit. The crown will be prepared in a matter of minutes and ready for immediate use once cemented. The photos are from an actual case Dr. Harmon completed! To learn about our CEREC technology, Click Here! In our Sun City West office, we offer same day dental crowns so you can spend more time doing what you love and less time at the dentist’s office. Do you have gaps, chips, stains or mishapen teeth that make you hide your smile? If so, veneers might be able to help bring your smile out of hiding. 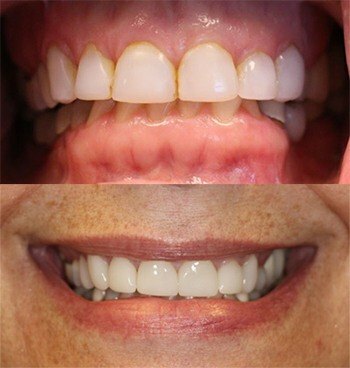 With veneers, we will be able to correct imperfections on your teeth to give you a brighter, more confident smile. After your veneers have been placed, you will see that they look like your natural teeth. Though veneers are stain resistant, your dentist might recommend you avoid coffee, tea, red wine and tobacco to keep your smile bright. The photos are from an actual case Dr. Harmon completed! To learn about our CEREC technology, Click Here! If you are missing any of your teeth, it is crucial to have them replaced. Without all of your teeth, a simple task like chewing while eating could cause your mouth discomfort. Without all of your teeth, your mouth might shift, which could make your face look older. To avoid these potential problems, talk to Dr. Harmon about whether or not implants would work for you. An implant crown looks just like your natural tooth, but it is made of porcelain. The implant is made up of two parts: the titanium-body implant and the tooth-colored porcelain crown. The implant is attached to your jawbone to help keep it in place. The crown is then placed on the implant to complete the process and help make your smile bright once again. Occassionally, your dentist might use dental implants to support your dentures—especially your bottom dentures—that might become displaced while talking or eating. Patients with removable partial dentures might get implants to fill in gaps where teeth are missing to create a more natural smile. Thanks to his training, knowledge, and skill, Dr Harmon is able to complete the restorative process in a fraction of the time compared to most dental offices since he uses the CEREC technology. The photos are from an actual case Dr. Harmon completed! What are bridges? Bridges are used to replace missing teeth, to help maintain the shape of your face and to relieve stress on your bite. 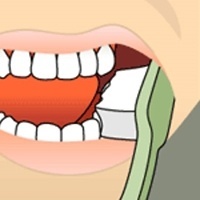 A bridge will place artificial teeth where your missing teeth once where. This process will give you a more natural looking smile, and it will “bridge” the gap where one or more teeth might have been. The bridge placed in your mouth might be made from gold, alloys, porcelain or a combination of these material and bonded to neighboring teeth for additional support. A successful bridge is defined by its foundation — your teeth, gums or bone to which the bridge is attached. In order to maintain a successful bridge, it is important to care for your natural teeth, gums and jaw. 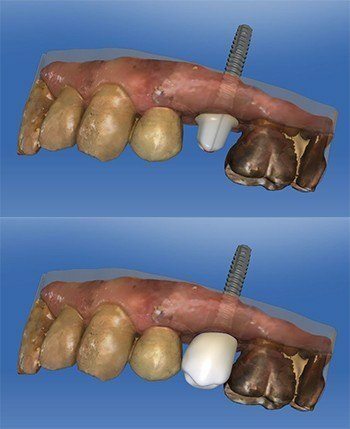 When appropriate, the bridge will be done in office using the CEREC technology. The photos are from an actual case Dr. Harmon completed! To learn about our CEREC technology, Click Here! What is a filling? There are two types of fillings: direct and indirect. Direct fillings are directly placed into a prepared cavity during one visit. Indirect fillings used to require two or more visits, but with the CEREC techonogy this is done in one simple visit. Traditionally, fillings were made of gold, porcelain and composite. With new dental procedures, fillings are made of ceramic and plastic compounds that are designed to look like natural teeth. Do you have a tooth that has been chipped, crooked or discolored? If so, bonding might be your solution. During the bonding process, a white filling will be placed over your tooth to improve its appearance. The filling, which comes in a variety of tooth-colored shades, will bond with surrounding teeth, giving it a natural appearance. This process can also be used for filling teeth. Instead of using amalgam fillings (silver fillings), many patients will select the less noticeable white color to fill their teeth. Bonding fillings can be used on front or back teeth. 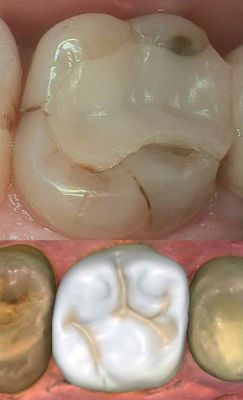 Ultimately, the availability of bonding fillings depends on the extent of tooth decay and the location of the filling. Bonding is less expensive than other cosmetic treatments available in our office, and it can usually be completed in one office visit. Though it is a simple procedure, there are a few downsides to bonding. The bonding might stain, and it is easier to break than other cosmetic treatments. If it does break or chip, be sure to tell your dentist. Generally, bonding can be easily patched or repaired in one visit. We are dedicated to providing you with the safest and most convenient treatment options available, and one way we do this is by utilizing advanced digital X-ray technology in our office. 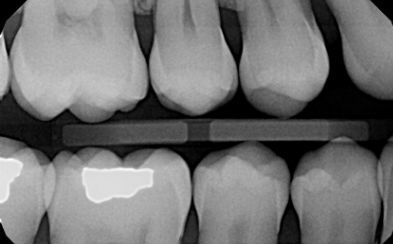 Digital X-rays provide our staff with advanced imaging options designed to save time, provide clearer dental photos and expose patients to less radiation than with traditional X-ray technology. We are focused on giving you the best, most comfortable dental experience available. If you have any questions about digital X-rays or the other technology we use in our office, please ask us during your next visit. We are happy to answer any questions you might have. What are dentures? Dentures are removable, natural-looking replacement teeth. There are two types of dentures: full and partial. 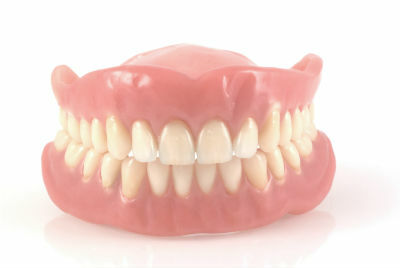 A patient will be given full dentures if all of their teeth have been removed. Partial dentures are attached to a metal frame that will be connected to your natural teeth. 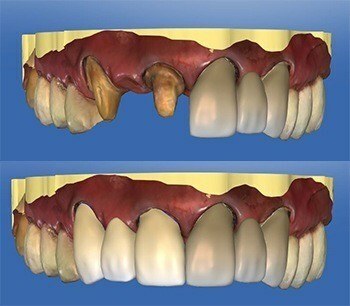 This will help fill in gaps where natural teeth have been removed. Just like your natural teeth, dentures need constant care, both personal and professional. When caring for your dentures, use a gentler brush, always keep them moist when they are not being used and be sure to keep your gums and tongue clean too. If dentures are in your future, Dr. Harmon is experienced in placing implant dentures, which have many advantages over traditional dentures. To learn more, please call our office. Fluoride is a great tool to be used in addition to regular brushing and flossing. Fluoride helps prevent cavities and tooth decay, and it helps stop plaque buildup from harming your teeth. During your regularly scheduled checkup, your dentist will offer a fluoride treatment. 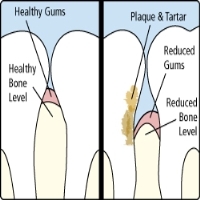 This will take just a few minutes, but it will have a lasting impact on your teeth. After the treatment, your dentist will ask that you do not rinse out your mouth eat or drink for at least 30 minutes to allow your teeth time to absorb the fluoride.To learn more about our dental services, please schedule an appointment with your dentist in our Sun City West dental office.